Amulet Reseller Program recent activities. After the full product launch of the Amulet Voice Remote for Windows Media Center, a lot of the focus has moved to building our Amulet Reseller Program. I am delighted to say that we have had a great response. We are busy processing applications from across the country and will be updating our web site with a list of approved resellers soon. The latest activity is a newsletter to our resellers launching some promotional offers we have available for them. These include deals on units for demonstration and evaluation as well as multiple unit offers. The Amulet Reseller Program is open to distributors and resellers of Window Media Center systems, as well as Custom Installers and Home Automation specialists that may be using Media Center at the moment. Or perhaps you’ve seen enough here to consider using Media Center. 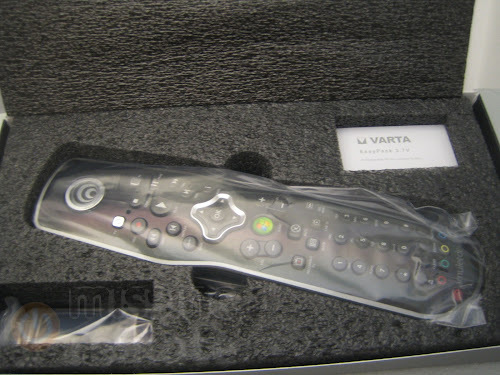 We are bringing Voice Control to homes, just fill in the application form to be a part of it. Posted in Launch | Comments Off on Amulet Reseller Program recent activities. Support forum is now live! We have the Amulet Devices support forum up and running! It took a little longer than planned, but it’s there now. This should be your main avenue for support for your Voice Remote and the Media Center Plugin software. We actively monitor the forum and respond to support queries. There are currently three sections at the moment. 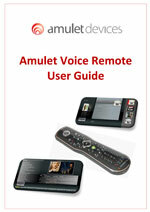 The first covers installation, any problems you might have getting the Amulet Voice Remote installed, connected to your Windows Media Center, or in relation to getting the Amulet Media Center Plugin software up and running smoothly. The second area is for general support covering ongoing operation, performance, commands or any tips, tricks, or hints that might be useful. It doesn’t have to be purely support issues. We’re happy for users to exchange their experiences with each other. There is also a forum for resellers and custom installers, which is not available to everyone. Please fill in the Reseller application form if you’d like to get access to this area. Posted in General, Launch | Comments Off on Support forum is now live! We’ve been keeping our heads down for the last few months at Amulet HQ as we finalise manufacturing details of the Voice Remote and put the finishing touches to the Media Center Plugin software and documentation. EnGadget cleverly noticed that we recently achieved FCC approval for our MC accessory, which means that we’ll soon be shipping units to our patient customers!